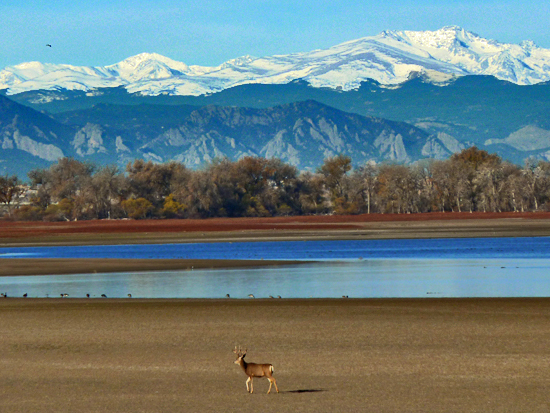 Featuring over 6,000-acres of public land and open space, the city of Aurora is a playground-like oasis, just 25-minutes from Downtown Denver. With a Rocky Mountain backdrop, Aurora plays host to some of the world’s most well known companies including Lockheed Martin, Northrop-Grumman, Raytheon, and Kaiser Permanente, as well as Buckley Air Force Base, and the University of Colorado Hospital. The city named The Gateway to the Rockies enjoys a plethora of outdoor activities, with easy access to Denver and Boulder. For groups and teams who are looking for easy access to open space, and a variety of activities, Aurora straddles the line between urban and open space. New in 2019 is the Gaylord Rockies Resort & Convention Center which is a great new addition to the Colorado Convention community. 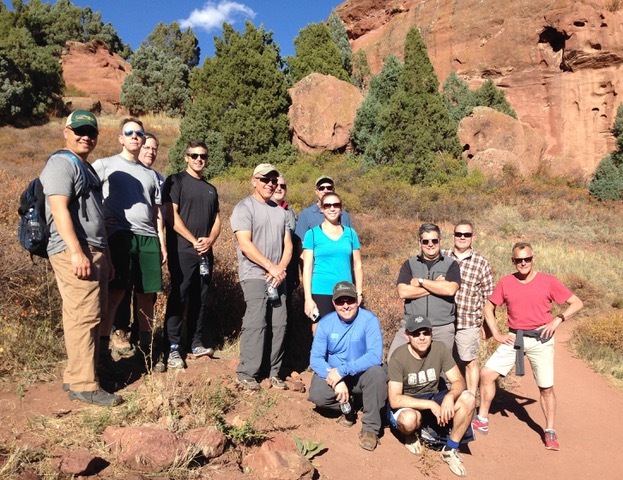 Here are some of our favorite team building activities in Aurora. 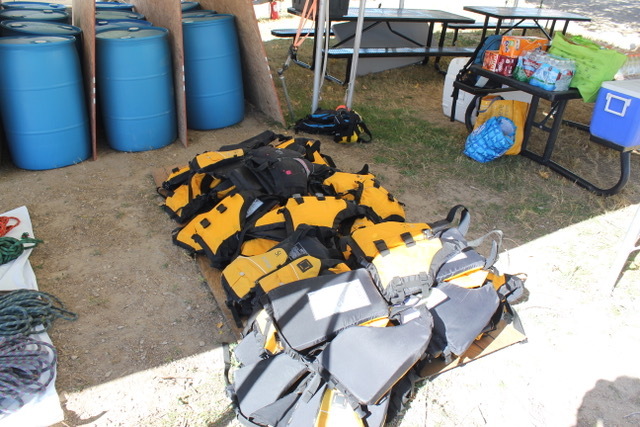 Collectively use minds and brawn to create rafts, inventions, and watercraft to get from island to land utilizing natural waterways and reservoirs, and learn to use innovative thinking as a team to succeed. Teams learn to trade and barter, communicate, and negotiate with each other to build the right craft that they need. 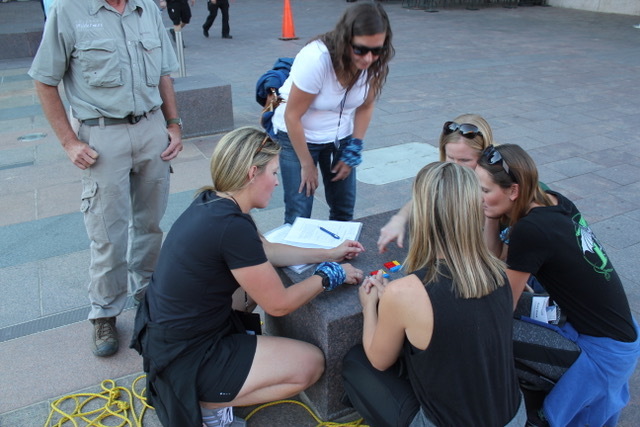 Using natural features, teams utilize their natural environment and with guidance use collective talents to be the first to reach the finish line. Escape from Alcatraz is great to find how each team member thinks and contributes to the overall success of the goal, with a variety of different means to win. Like many of the cities in Colorado and especially around the Denver area, the Aurora area is quickly becoming known for it’s growing brewery scene, hosting a number of craft beer-makers and microbreweries, quickly become some of the leading in the nation. With some well-known names such as Dry Dock Brewing Company, Halfpenny, Launchpad, and Ursula Brewing among others, the tap rooms are full of quirky and casual atmospheres with beers and tasty snacks. With so many breweries close together, the area makes a great setting for a Colorado Aurora Brewery Amazing Race, where teams will race from one brewery to the next, completing mental and physical challenges as they get to sample some of the best brews from the Denver area, have fun, and get to know their colleagues in a relaxed and casual setting. This is a great way for teams to use their combined skills and talents, while also getting to know their colleagues in a not too serious setting. Come explore why Aurora is becoming Colorado’s next big brewery scene! From the iconic DeLaney Barn to the Gully Homestead and the Centennial House, Aurora is choc-full of historic buildings dating from Aurora’s humble beginnings in the mid 1860s as a pioneer homestead, all the way to the development of Buckley Air Force Base. 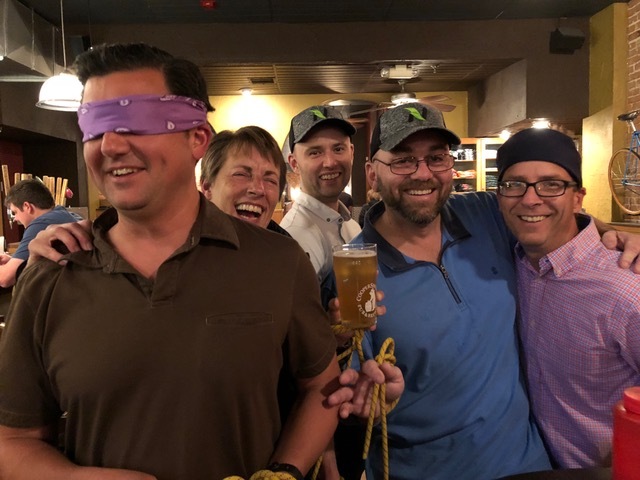 The Urban and Outdoor Scavenger Hunts take teams scrounging deep through Aurora’s history exploring the Aurora Fox Theater, the History Museum, and the Morrison Nature Center, with it’s protected habitats for wildlife including deer and various species of birds. Aurora at one point was also the interim headquarters for the United States Air Force Academy from 1955 to 1958. With the , we’ll step back in time to see the city as it was in the pioneer days, exploring some of the cultural and historic treasures that made up a large part of the Denver area, especially for those who were venturing further west. Your team will get to have fun and also experience a big part of Colorado history. With Aurora being so close to Denver and Boulder, it’s also a great Launchpad for group tours in the nearby mountains. Only 25-minutes from Denver will have teams exploring the urban area, or the local open spaces of Golden and Morrison, making the perfect place for hikes, sightseeing tours, or mountain biking. Only 30 minutes farther, we find ourselves in Idaho Springs, one of the great centers for activities such as rock climbing, white water rafting, and sightseeing. 45 minutes away is Boulder, one of Colorado’s adventure hubs, with plenty of opportunities for mountain biking, rock climbing, fly fishing, hiking, and sightseeing. The areas around Aurora are nearly limitless for adventure opportunities, and great to get your team out of the Denver area for the day and easily explore the surrounding areas, with fun and adventurous opportunities. For teams who are based in Denver, Aurora makes the perfect midpoint between business and adventure, with local access to trails, open areas, breweries, restaurants, and historic structures. Aurora is a monument in of itself, telling the story of the first Colorado pioneers and how they made their way out west, set in a spectacular plain with the Rocky Mountains rising in the distance. 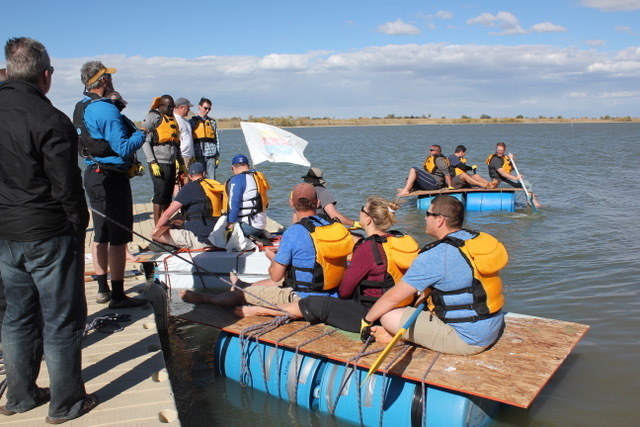 Come explore the best of Aurora, Colorado, and join us for a thrilling day of team building, leadership development, or an unforgettable executive retreat close to Denver! Call 720 242 9828 or visit www.coloradowildernesscorporateandteams.comto plan your trip today!